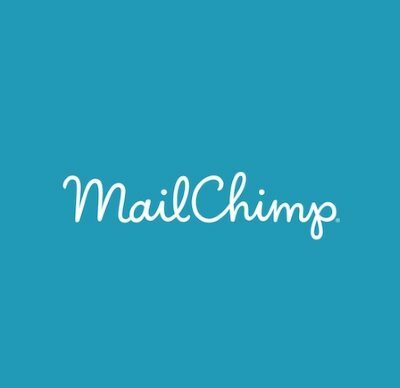 Naujienlaiškių siuntimo programa MailChimp yra viena iš didžiausių pasaulyje naujienlaiškių platformų, kuria šiandien naudojasi 15 milijonų vartotojų. Programa suteikia puikias galimybes išbandyti naujienlaiškių siuntimą NEMOKAMAI, apribojant naujienlaiškių gavėjų skaičių iki 2000 vartotojų. When you connect your store with one of MailChimp’s hundreds of e-commerce integrations, you can create targeted email or ad campaigns, automate helpful product follow-ups, and send back-in-stock messaging. MailChimp offers advanced reporting features you can access anywhere. Monitor sales and website activity with revenue reports, and inform your email and advertising content with purchase data using Google Analytics. That means you can learn, refine, and optimize your email and ad campaigns to grow your business—all in one place. Our Facebook and Instagram ad campaigns give you the power to grow your audience and sell more stuff in just a few steps. Our suite of mobile apps let you check reports, add notes to a contact, or send a campaign —no matter where you are. Collect signups on a tablet with MailChimp Subscribe, online or off. Just restocked a popular product? Use MailChimp Snap to send a quick, photo-based email to a segment or list of subscribers. And never worry about how your emails look on various screens—all MailChimp templates and forms are mobile-ready right out of the box. We integrate with popular apps and services like Salesforce, Eventbrite, Google, Twitter, Facebook, Shopify, and SurveyMonkey. This means you can easily sync your data from those services, import content from other sources, and learn how your campaigns are affecting your business. Our e-commerce collection in particular will help you track visitors to your store, capture order information, and pass all the data back to MailChimp. MailChimp’s API allows you to adapt your email marketing to fit your workflow. Whether it’s time to integrate with a CRM or build your own CMS, we’ll scale with your business. Our API offers in-depth documentation, wrapper downloads, and how-to documents. Almost all the data and functionality within our app is accessible with an API key, so the possibilities are endless. We’re constantly studying MailChimp user data and using it to create new tools and products for you. Omnivore, our abuse prevention initiative, works in the background to help keep our system clean. Our research empowers you to determine the best time to send campaigns, to quickly test subject lines before you send, and to automatically send your campaigns at the same time in different time zones. Our data scientists and engineers blog about new products and features, and our researchers publish their insights on our website—all so we can help your business to send better email. MailChimp’s enterprise-level marketing automations allow you to provide timely, relevant information for your subscribers. Trigger welcome emails, provide recommendations based on e-commerce and behavioral data, and personalize your campaigns based on your customers’ interests. MailChimp’s built-in signup forms are easy to customize and share. You can also create forms and collect subscribers on platforms like Facebook, Twitter, and WordPress. And with MailChimp Subscribe, you can collect signups on your tablet at a cash register or when you travel for events. Create professional, responsive email newsletters and powerful Facebook and Instagram ad campaigns that match your brand’s look and feel. MailChimp’s simple interface allows you to create integrated campaigns in just a few easy steps. MailChimp’s reports give you lots of information on how your campaigns and automations are performing individually and over time. We’ll compare your stats to industry averages so you know how your email marketing stacks up. And with MailChimp Mobile, you can keep track of your performance from your mobile device. Some of our features and support options are only available with paid accounts. Get unlimited sending, predicted demographics, delivery by time zone, email and chat support, and more when you upgrade to a paid account.